Don't yet have an airline that you call home? The Gold Delta SkyMiles® Business Credit Card from American Express makes a compelling case for business travelers to give their loyalty to the nearly 100-year-old airline (American Express is a CardRatings advertiser). In exchange for an attractive welcome offer and perks like priority boarding and in-flight discounts, Delta checks off many of the boxes on most business travelers' must-have lists. No annual fee the first year ($95 after that). See Rates and Fees. Earn a welcome offer of 30,000 bonus miles after spending $1,000 in the first three months. Additionally, earn a $50 statement credit after making a Delta purchase within your first three months with the new card. Get priority boarding on Delta flights and in-flight discounts. Use miles toward Delta flights or with more than 15 of its airline partners. Card benefits include purchase protection, car rental insurance and roadside assistance. Access to American Express Open benefits, including ReceiptMatchSM, account alerts and Open Forum®, which offers tools, advice and other resources for business professionals. New cardmembers can earn 30,000 bonus miles after making $1,000 in purchases in the first three months, and earn a statement credit of $50 when making a Delta purchase with your new card within your first three months. Frequent flyers can accumulate miles fast with two miles per dollar on any direct Delta purchases on top of one mile per dollar on other purchases. You and up to eight others traveling on the same itinerary can check their first bag for free on any Delta and Delta Connection® flights. While there are no foreign transaction fees with this card, you do have to a pay a $95 annual fee after the first year and you're locked into traveling only with Delta or its partners. Delta flies to 900 destinations around the world -- a business traveler's dream. For members of this group who haven't yet leveraged a loyalty credit card to enhance their travel experience, the Gold Delta SkyMiles® Business Credit Card from American Express offers several perks and benefits to incentivize them. First, there's welcome offer of 30,000 miles after you make $1,000 in purchases in the first three months, plus earn a $50 statement credit with a Delta purchase within your first three months. Most business travelers can meet this threshold easily and in return earn enough miles for a couple of domestic round-trip flights (one-way award tickets start at just 10,000 miles) or to partially offset the cost of a Delta Comfort™ or first-class ticket. The card comes with no annual fee for the first year and no foreign transaction fees, saving business travelers who fly internationally up to 3 percent on every purchase. Aside from those fees, the most attractive perks also help travelers avoid the typical grievances most people now have with airlines – checked baggage fees, expensive in-flight purchases and all the nickel-and-diming that further inflates ticket costs. Checked baggage is $25 a bag on Delta, but with the Gold Delta SkyMiles® Business Credit Card from American Express, your first bag flies free. Cardholders also get a 20 percent discount in the form of statement credit on in-flight purchases they make with their card. You earn two miles for every dollar on Delta purchases and one mile for every dollar on everything else. Miles never expire, so you can redeem them anytime and take advantage of priority boarding, another card benefit. The best way to maximize your rewards is to join Delta's SkyMiles Frequent Flyer Program. When you join the program, you can earn additional miles above what you get with the the Gold Delta SkyMiles® Business Credit Card from American Express. The way to do this is to achieve SkyMiles Medallion® Status. There are four Medallion status tiers, ranging from silver to diamond, with qualification miles ranging from 25,000 to 125,000. Annual spending on Delta flights also factors into the tiers, but Delta waives this requirement -- called Medallion Qualification Dollars -- for card members who spend at least $25,000 with the airline within a calendar year. Unfortunately, tickets paid for in miles don't count toward earning miles for Medallion status, so business travelers can't use their welcome offer to achieve this perk faster. However, if you achieve Medallion status, you can expect to earn a mileage bonus of anywhere from two additional miles per dollar (silver status) up to six additional miles per dollar (diamond status). That means Gold Delta SkyMiles® Business Credit Card from American Express card members who also are in the frequent flyer program earn a minimum of four miles per dollar on every Delta purchase. 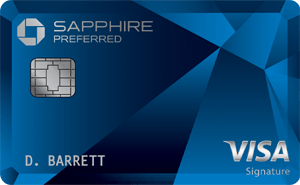 Some travel rewards cards, like the JetBlue Plus CardJetBlue Plus Card and Chase Sapphire Preferred® Card, offer a redemption bonus when you redeem miles through their portals or online travels centers. Delta doesn't offer this bonus. Another significant drawback is that the annual fee jumps to $95 after the first year. With a value of a little more than 1 cent per mile for most flights, you'd need to earn at least 9,500 miles a year or spend about $396 a month on Delta purchases to offset this fee -- a target that should be easy for business travelers to hit. The Gold Delta SkyMiles® Business Credit Card from American Express also doesn't offer an introductory low APR rate, and any interest charges will eat into your rewards if you don't pay your balance off in full every month. New Platinum Delta SkyMiles® Business Credit Card from American Express cardholders can earn 35,000 bonus miles and 5,000 Medallion® Qualification Miles (MQMs) after spending $1,000 in the first three months and earn a $100 statement credit after you make a Delta purchase on your new card in the first three months. Then, each calendar year you spend $25,000 on the card, you'll earn 10,000 bonus miles and 10,000 MQMs; spend $50,000 in a calendar year and you'll earn another 10,000 bonus miles and 10,000 MQMs. 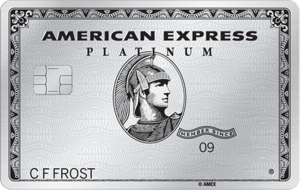 It's easy to see how a big business spender and traveler could certainly make the Platinum Delta SkyMiles® Business Credit Card from American Express card work for them. Figure in the 20 percent off eligible in-flight purchases in addition to the free checked bag, priority boarding and other perks offered by the Platinum Delta SkyMiles® Business Credit Card from American Express, and you might find this is a better choice for you and your business needs. Neither card has an annual fee the first year and their fees increase to $95 thereafter. The tiered rewards structure also is similar, as both the United MileagePlus® Explorer Card and Gold Delta SkyMiles® Business Credit Card from American Express offer two miles per dollar on their respective airlines and one mile per dollar on all other purchases. However, the two miles per dollar with United is just for ticket purchases. Delta offers two miles per dollar on all airline-related purchases, including in-flight purchases and Delta vacation packages. Both cards offer free checked baggage for one piece of luggage, no foreign transaction fees, and rental car and travel insurance. However, United offers lost luggage reimbursement for up to $3,000 per passenger and 10,000 bonus miles after you spend $25,000 on your card each calendar year. Aside from these two features, the differences between the two cards are negligible. The Capital One® Spark® Miles for Business credit card offers a significant amount of flexibility for business travelers who aren't committed to a particular airline for their travels. The Capital One® Spark® Miles for Business credit card's annual fee is $0 intro for first year; $95 after that. The welcome offer is generous: Earn a one-time bonus of 50,000 miles when you spend $4,500 in the first three months of opening your account. With the Capital One® Spark® Miles for Business credit card, you'll earn a flat two miles for every $1 you spend, so there's a good opportunity to rack up some miles toward upcoming trips. Furthermore, you aren't tied to a particular airline with theCapital One® Spark® Miles for Business; in fact, there are no blackout dates or restrictions on when and how you can redeem your miles. Still, because this is a general travel rewards card, you do miss out on a few airline-specific perks that you get with the Gold Delta SkyMiles® Business Credit Card from American Express, such as a free checked bag and discounts on in-flight purchases. If you already fly with Delta, why not be rewarded for your loyalty? Any business professional who travels frequently with the airline can earn free flights and save a ton of money alone on checked baggage fees – at least $25 per trip. Delta flies to over 900 locations worldwide, so the Gold Delta SkyMiles® Business Credit Card from American Express could help you stock up enough rewards for that dream vacation.